Let your game of Unstable Unicorns take flight! This expansion adds dragon-themed Upgrade, Downgrade, and Magic cards, along with all-new Unicorns to battle. Who will rule the skies over your Stable? 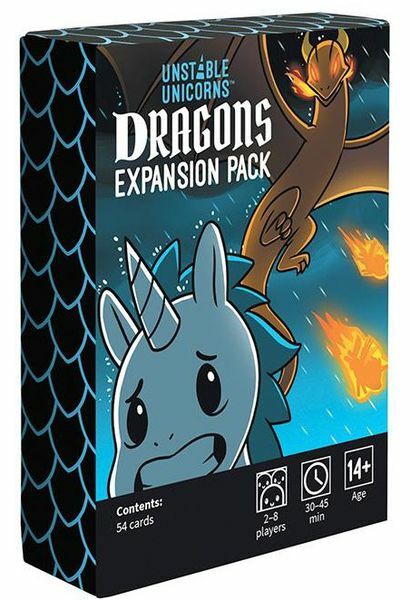 Includes: 27 Fire-breathing Cards (Cards should not actually breathe fire. If you see flames, something has gone horribly wrong).